Are you running a business where customer service is your top priority? 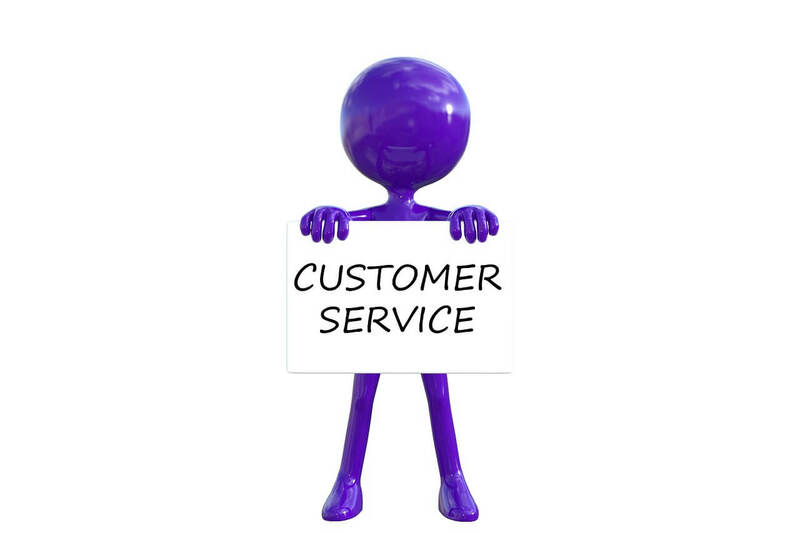 Any brand who has a product or service should always be considering the customer service angle of their business. After all, their business depends on keeping customers happy. Customer service has evolved tremendously over the years. Especially so with the ever changing www because now your customer has direct access to your brand and will continue to gauge your services not only on how fast you reply to their problem, but also how you tackle their nuances with originality and personal touch. Here’s three options you can give your brand a leg up in the customer service world and create more opportunities for trust, engagement, and involvement in the future between your business and the customer. With anything pertaining to customer service, the number one goal for a business is to always make sure you observe the customer’s experience with your brand. From the inner workings of your business in allowing a 360 degree feedback from your employees, which allows every worker to evaluate your work ethics and standards, to vamping up your outer experience with the customer. This allows them to have feedback on everything you present them which gives them more freedom to speak their mind and be at ease with your company. You always want to present an atmosphere of personalness which, in turn, creates a sense of trust within your community. As long as you can continue to poll your audience, learn their wants and needs, and get to know them as much as you can, you will begin to understand what drives them when it comes to a personal experience with your brand. This then allows you to adjust your customer service processes accordingly and makes everyone happy. In the early 90’s when you had a problem with a store, or needed to ask a question what was the first thing you had at your disposal? Do you remember calling up the number they gave you on the piece of paper and then holding on the line for hours on end waiting to take your turn to solve your problem? That was so aggravating to customers. If your company continues to only be available by a phone number then you’re probably losing business by the droves. As you know, the evolution of today’s customer service outcome is the fact at how your company can be contacted on every social platform you have an account on, not to mention the direct avenues of connection you give them for your business like email and such. When you open your doors to allow your customer to contact you wherever you please it makes ease of use and engagement more appealing to them. Maybe your customer prefers not to email? However, they notice they can contact you via Twitter, which is a platform they’re comfortable in using. Giving them the control of where the interaction happens creates trust and respectability within your brand towards the customers and let’s them know you are looking out for their needs. From the CEO to the administrative assistant, you should be developing your staff in the art of staying informed about what’s going on inside of your company at all times. Daily/weekly meetings of the inner workings and problems of your business and how each staff member can do their part to make it better gives each employee a small responsibility in helping you pull this customer service train down the rails successfully. In no way should you be hiding specific problems from anyone you work with. Listen, every business is going to have hiccups and problems every once in awhile. The sooner you understand this, the quicker you will be to allow the people with the real skills to help solve the problem into your inner circle. Not only inward problems but also learning about the problems on the customer’s side of your business. Maybe a link doesn’t work, or perhaps they are getting the wrong handbag when they purchase one. Whatever it is, address these problems as a team and continue to stay informed to increase customer service happiness. Customer service is always evolving and it’s up to you to continue to drive your business towards these inevitable evolutions and grow right along with it. Your business will surely thrive when you think about the customer and how your brand can make them happier.